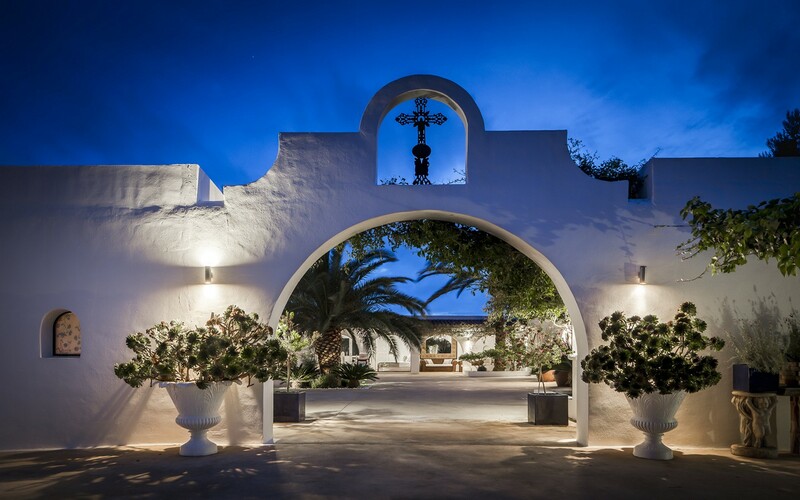 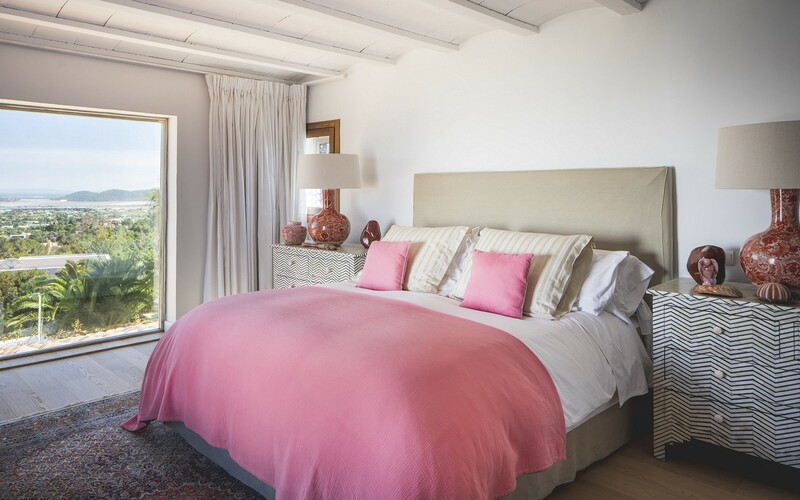 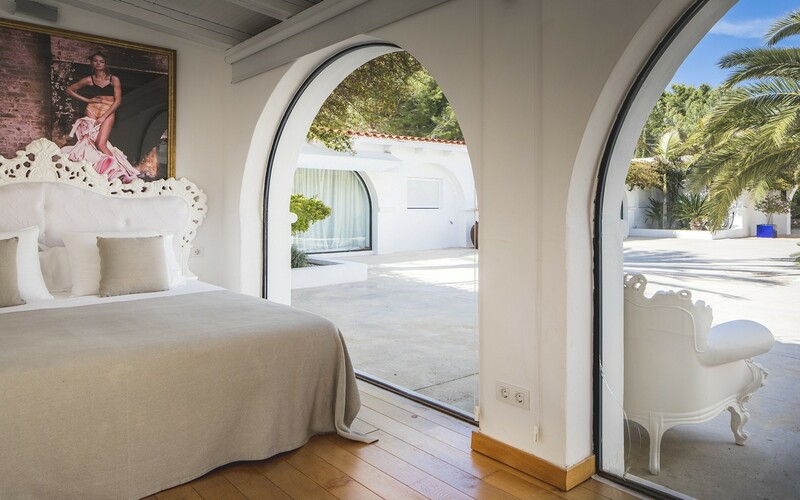 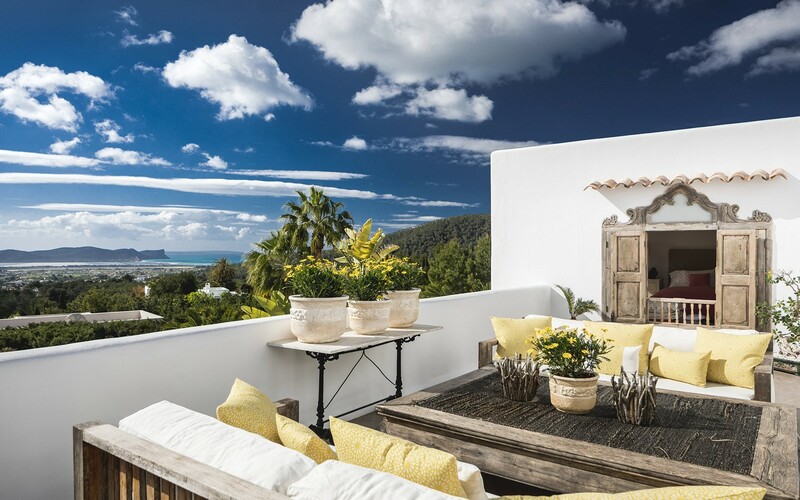 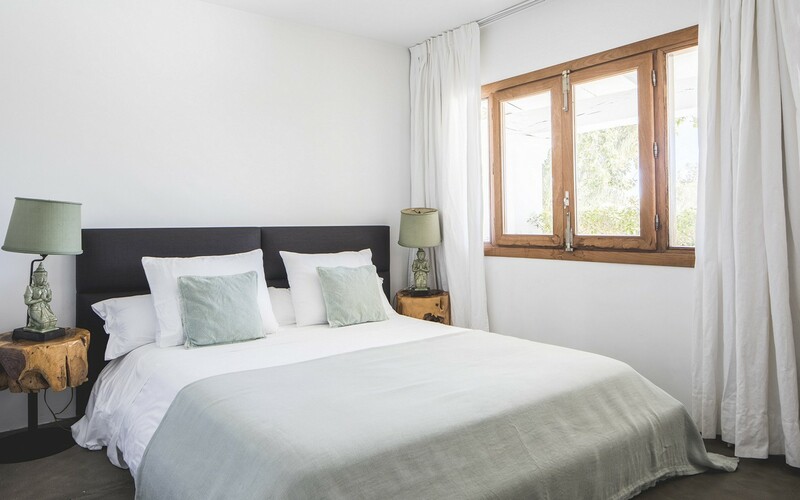 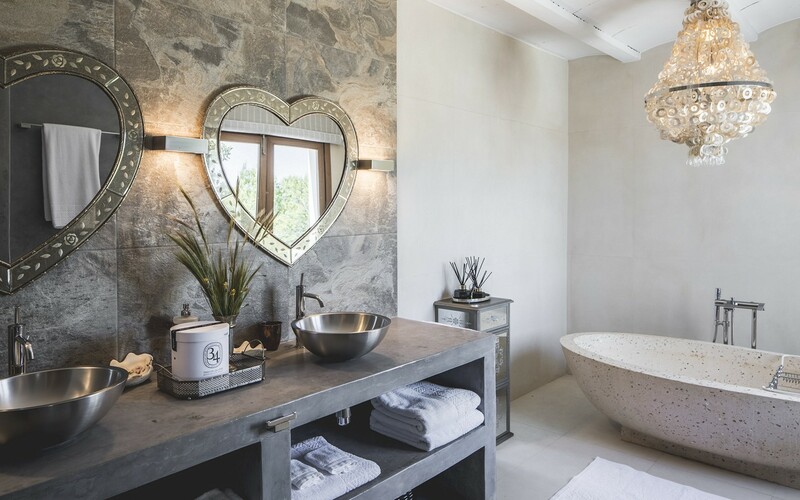 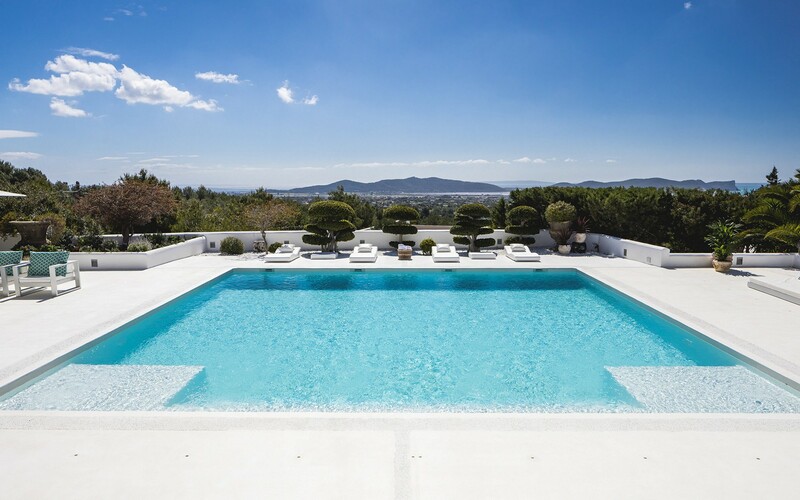 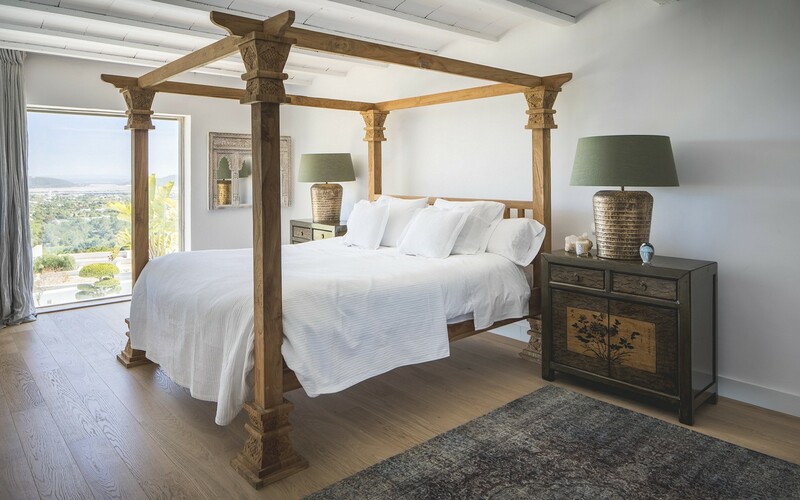 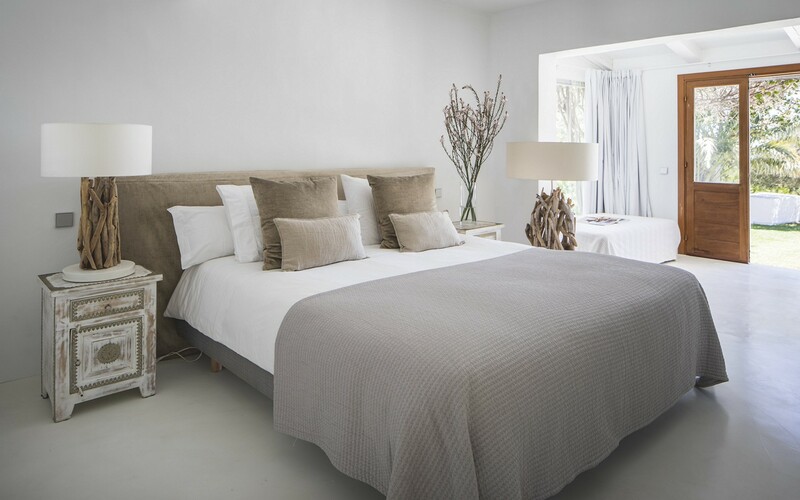 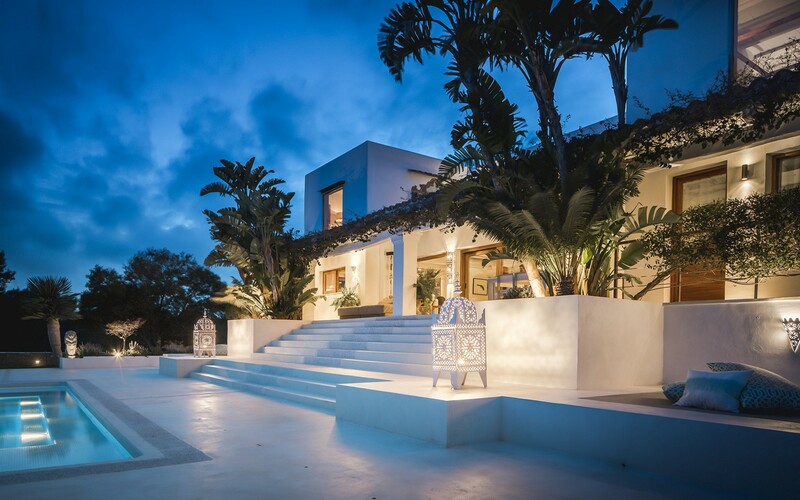 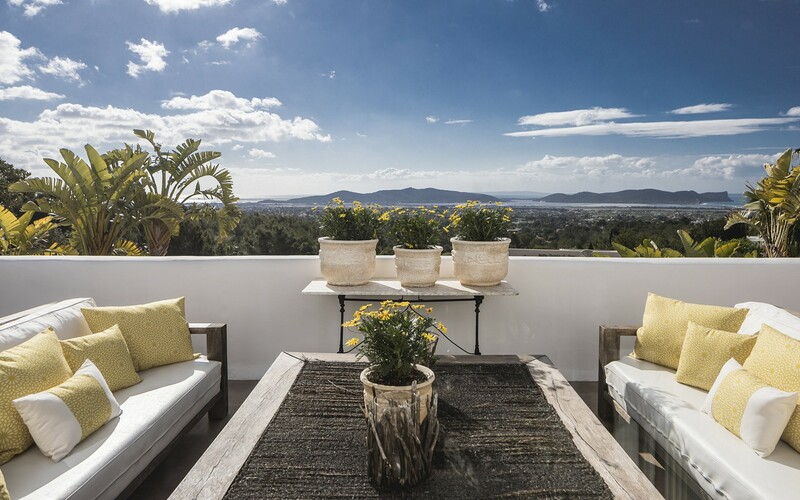 In a panoramic position on the hills of Ibiza, Villa Amy is perfect for those looking for a quiet location just a few kilometers from the most beautiful beaches of the island. 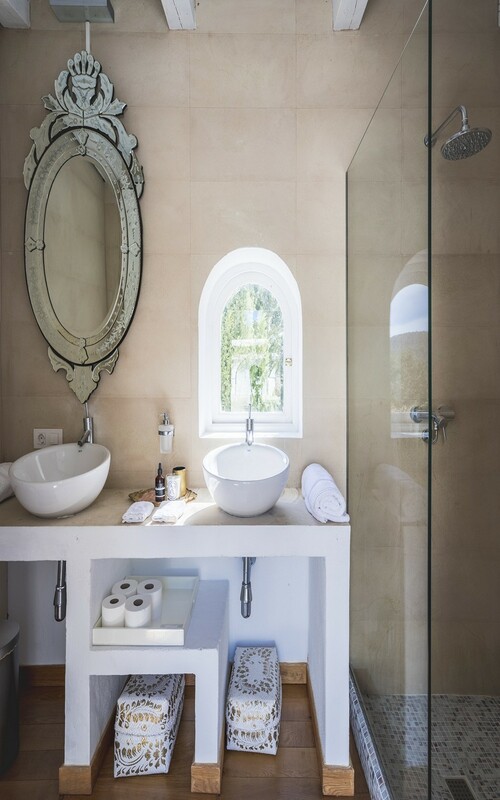 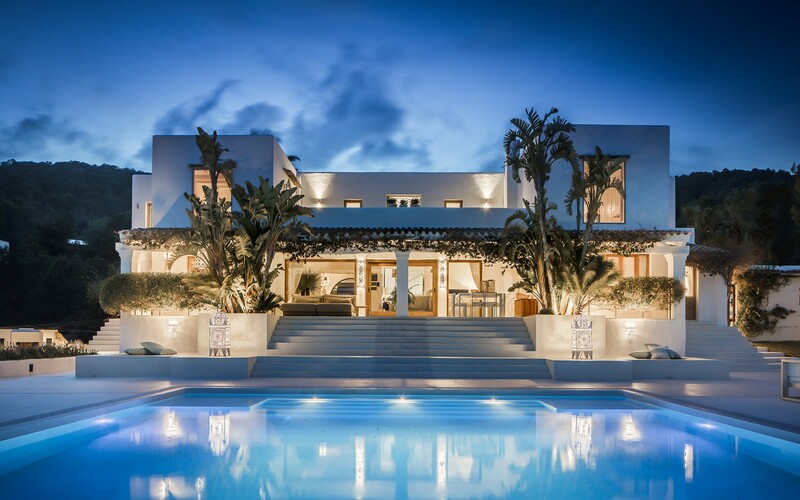 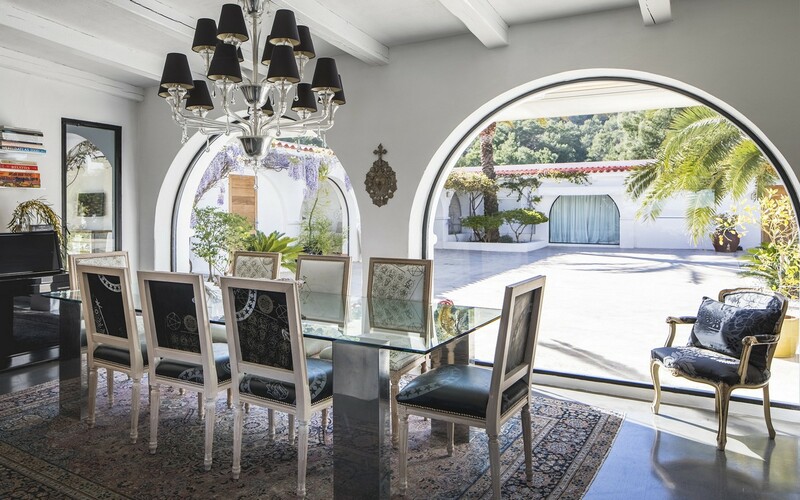 The villa has modern finishes and large windows that make the structure very bright. 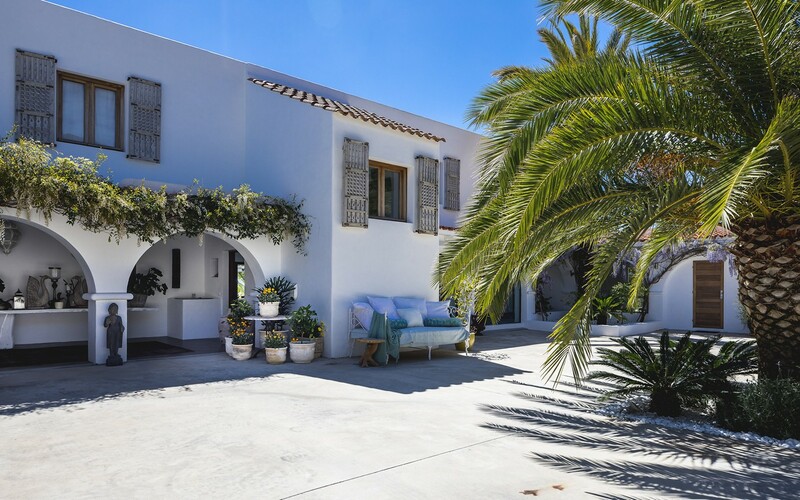 The villa is divided into two areas: the main house and the annex. 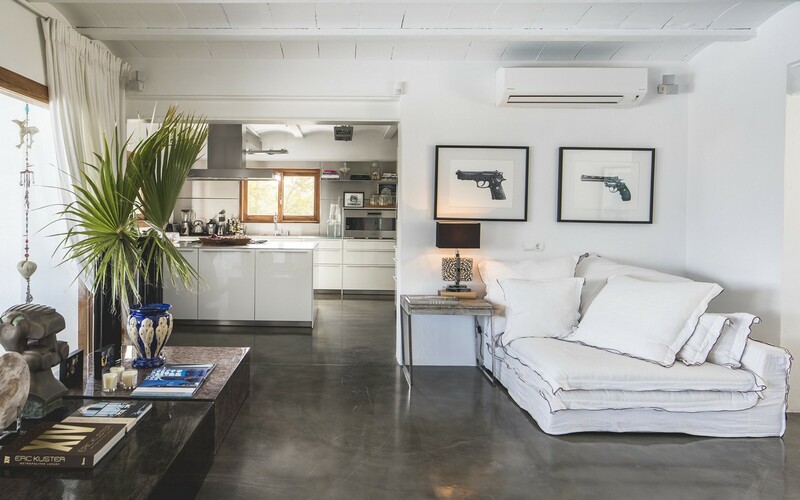 The main house, of 450 square meters, consists of a large living room with TV, dining table and sofa, a complete kitchen, four bedrooms and four bathrooms. 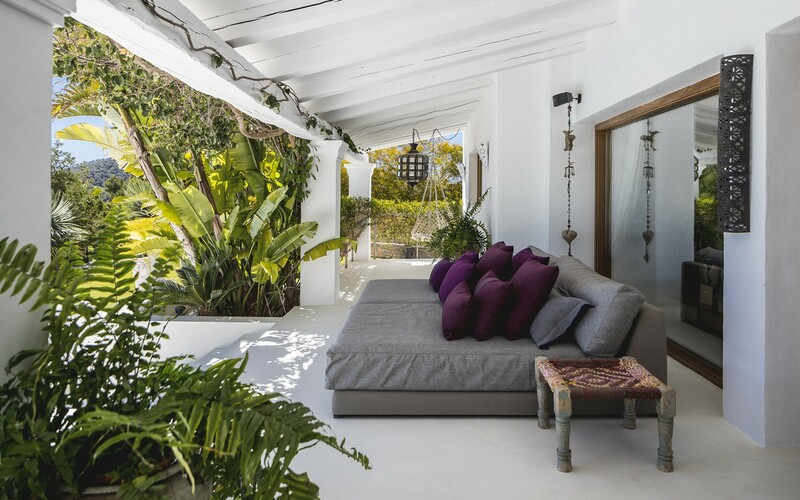 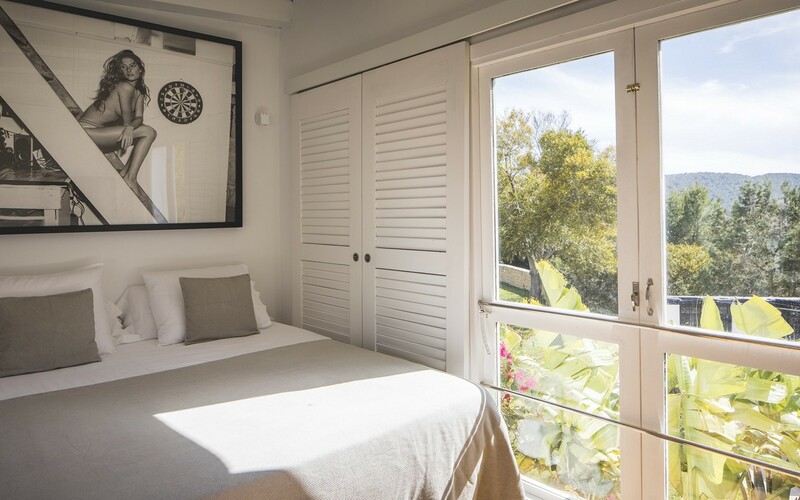 The annex, of 120 square meters, is composed instead of two other bedrooms and a bathroom. 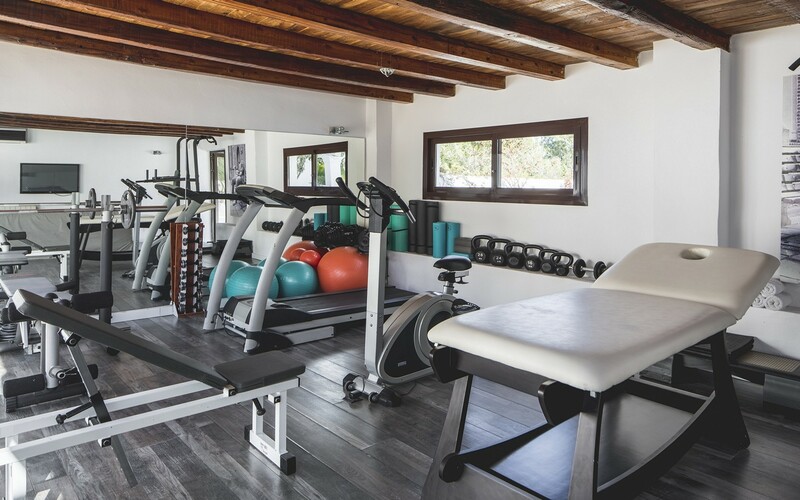 The property offers many amenities such as: air conditioning, alarm, wi-fi, gym, an outdoor pool (10x10), outdoor barbecue and various solarium areas where you can relax and enjoy the beautiful sea view. 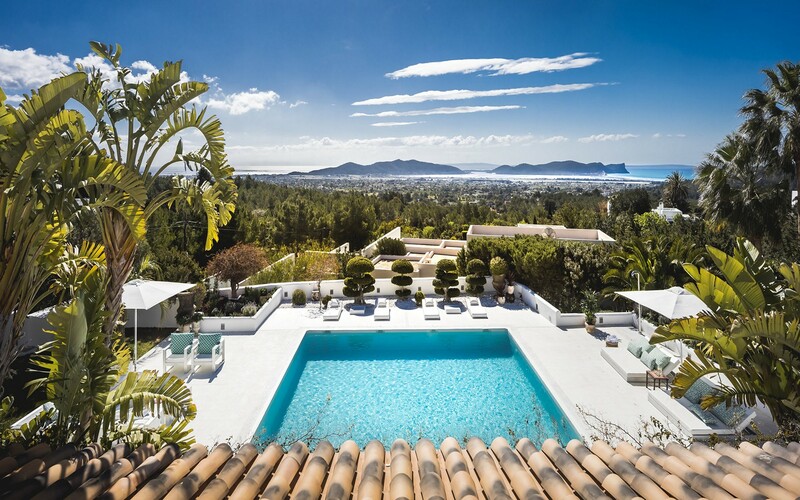 The city center of Ibiza is 7 km away.